What exactly does ‘Global’ mean? While the world global may invoke notions of cosmopolitism to some, May’s vision appears to differ. 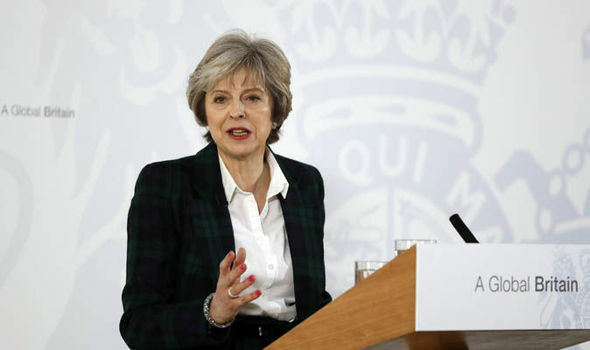 Her proposed tightening of immigration controls, coupled with her emphasis on making Britain a desirable trading partner seem to imply May’s definition of a Global Britain are largely economic. Hence twice in her twelve point Brexit plan she emphasised her ambition to trade within and beyond Europe. One of the Mays’ twelve points that media analysis appears to have neglected is May’s promise to remove Britain from the European Courts of Justice and the implications of this. Sky News have translated this as “UK Laws for UK People”. However the ramifications of this severance in light of the heavy emphasis on free trade deals are worrying. The court’s primary role is to ensure that European Laws is applied equally across all EU member states. If an EU law is breached, individuals, companies and organisation can notify the court of breaches of their rights. If found guilty, the European Court of Justice can fine the offender for failing to uphold their legal responsibilities. Hence far from being a removed, bureaucratic EU institution the European Court of Justice actively protecting the rights of individuals and organisations by upholding the equal application of EU law. What do EU laws safeguard? Amongst environmental, agricultural, health, and data protection standards, the European Court of Justice protects two particularly vulnerable areas of law. EU labour protects working conditions which ensure fair working times and contracts as well as informing and consulting workers about redundancies and transfers of companies. This ensures workers get a minimum of 20 days paid annual leave, as well as providing social and employment protection. This provides a framework that protects workers’ rights, obligation and health as well as promoting a sustainable economy. How does this effect BAME migrant communities? Following May’s threat to abandon the EU ‘social model’ for a corporate friendly alternative, there has been widespread scepticism that May will protect the rights of workers in post-Brexit ‘Global Britain’. This, coupled with Mays’ crackdown on pathways to legal migration suggest that migrant workers may become even more susceptible to exploitation. Incidents such as todays Sports Direct’s trafficking scandal are likely to increase as the checks and balances that protect workers and migrants rights deplete. In Trade Law, parties can appeal to the European court of justice for redress. However trade deals with no protective measures in place would be likely to have investor courts which feature in TTIP and CETA deals. These courts allow companies to sue governments, national regulators and beyond in commercial as opposed to public courts, meaning the entire process is done in secret. What does Global Britain’s trading future look like? The irony what we can empirically forecast in post-Brexit Britain’s trading future, is that Brexit may lead to a deeper absolvent of Britain’s sovereignty. The fact of the matter is an isolated Britain, no longer protected by EU safeguarding laws is now vulnerable to the wills of bigger, and more powerful countries such as the USA and China. May’s optimism regarding the new ‘Global Britain’s’ trading outreach beyond Europe appears to encourage Donald Trump’s promise to prioritise a UK-US trading deal. The subsequent implications for Britain’s environmental, agricultural, health, and dispute resolution are worrying to say the least. For campaigners who were worried about TTIP negotiations, a trade deal with Trump may pose an even more worrying threat. Furthermore Philip Hammond’s threat of making post-Brexit Britain a tax haven to make Britain more attractive to investors reflect May’s governments willingness to prioritise corporate interest over taxation and regulation of big business holds sinister implications for the legal safeguarding of the environment, the NHS, workers’ rights and more. Brexit appeared to be a vote against globalisation and for a re-empowered sense of sovereignty. Yet the seemingly unstoppable forces of globalisation require union for protection. Hence the cruel irony is of course that Britain’s exit from the EU has not made us more powerful, but more vulnerable.